Sometimes a filmmaker’s own reputation also be fatal. This applies even if one of the industry has such a legendary reputation as Terrence Malick. With only two films in the 1970s (Badlands, 1973 and In the Days of Heaven, 1978), he became aware of and was regarded as a gifted poet of American cinema. The myth was also fueled by his passion for philosophy and his mysterious withdrawals from the film industry, his now 40-year career in this ensured that Malick in time only four feature films has been realized as a whole. 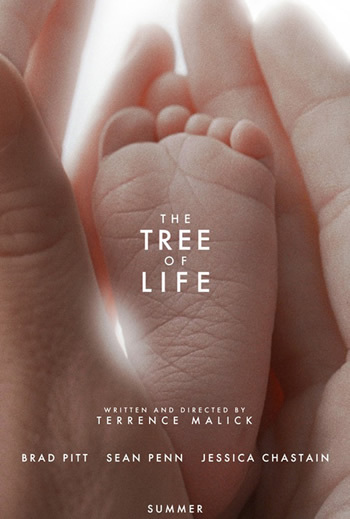 No wonder that after this history, the expectations of Terrence Malick’s long-promised movie The Tree of Life were huge – maybe too huge. At the press screening in Cannes film was the least quieter applause with clearly audible boos considered next. On the surface, Malick tells of the struggle between two competing principles in the world whose existence and rivalry it represents the basis of a family. 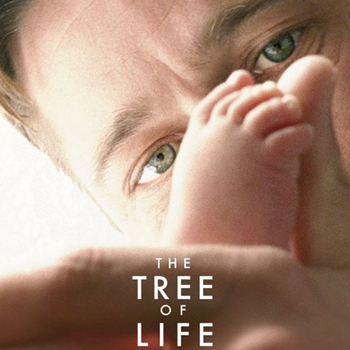 These lives during the late 1950s and early 1960s in Waco, Texas and consists of a sternly father (Brad Pitt) and a mild, often a little dreamy-acting, understanding and empathy capable mother (Jessica Chastain – much like Ginnifer Goodwin in Bigger Love, but less cute) and their three sons, of particularly ,among Jack (Hunter McCracken), is central, especially because he always gets together with his father. Than in a swimming accident, one of the other two brothers died (and it is for the later mysterious appearance and disappearance of this child are also numerous other interpretations), is the family, which is of choleric father out with a heavy hand, before a crucial test. In later years, recalls Jack (played by Sean Penn as an adulterer) at this time and tried to work with his life by remembering to come to terms. However, there are many things in history that remains open, because a number is only suggested. And it could give almost every turn, a different explanation. Malick, a great fondness for detailed descriptions of nature, that has, at least since his magical pictures from the 1970s, where wheat fields like a giant red sea in the wind sway known. 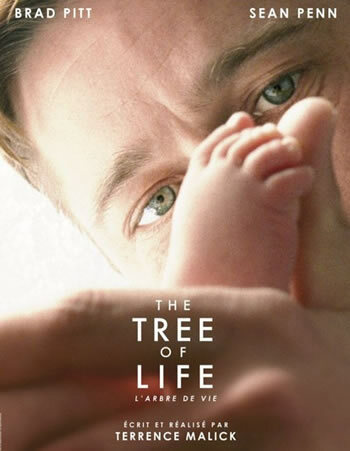 In The Tree of Life director dares even a twenty-minute excursion into the world of the elements and shows images of exquisite beauty, the sequence almost has a visual trip will leave the drug (just say “yes”). Also during the story, the basis for these excursions is the contemplative lives, mainly through the power of images and their uniqueness. There is hardly a setting that does not attract attention, detail, dynamic solution looking for (and find). Constantly in motion, the camera hovers between people, cuts to the people, then jumps back in detail or extreme wide angle, the composed landscape shots are carefully removed from and thus forms a picture puzzle of lamenting elegance. Above that is on the soundtrack is a mix of sparse dialogue, detailed off-narration, natural sounds and a lot of classical and sacred music, often with a chorus presented one that carried the tone of the narration strengthened – only to be softened later up. A film for the exquisite viewfinder – and definitely in a double sense. Right? reviewed by a native English-speaker (English, American, Australian, whatever), as your fine ideas get lost in the grammatical errors and literal translations that make no sense. I am sure your concepts are on-target, but the bizarre translation totally spoils your ideas…. Thanks so much Alhenascott. I try to secure editor for my reviews but I think they want me to be clown at their expense. I am improving every week. Please do not have someone review your English in futuer reviews! Your write is like tone poem, with word and thought crash against the other, and splay meaning for those who like to breath the richness. Reviewer would crush the soul your meaning, with hamburger-secneted copy from Madisan Avenue troglydites. 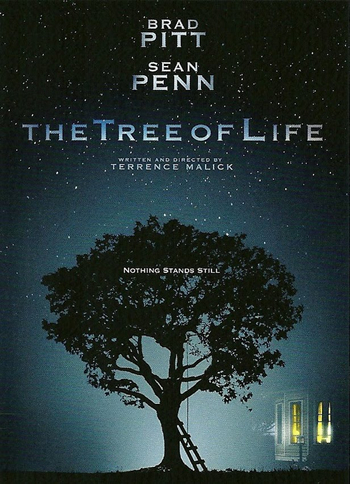 I took the whole movie to be an allegory for man becoming independent of nature (earth/mother) and grace (god/father). It seemed less about strong narrative and characters and more archetypes. When the mother is speaking in voice over and asks why god would take her son, the Malick pulls back and shows you the entire world. Death exists but look at how amazing life is! And we are part of this amazing universal legacy of life and creation simply by being (or having been) alive. Billions of years, from the cosmos to the first cells that split on earth to dinosaurs, to the hardship of becoming an independent person. The earth nurtures, god teaches(abuses?) and man builds. The last shot was of a bridge. I thought it was beautiful. Funniest thing I’ve ever read. uh…his brother didn’t die in that swimming accident, that was another boy. His brother died much later, we know this because it was referenced that he was 18 (or 19?) when he died. Also, in the scene where the boy drowns, we see the Jessica Chastain character look on as another mother is screaming in the background. also, how did you know Sean Penn was an “adulterer”? It just seemed like he was a rich, unhappy guy. Maybe I missed something. Thanks Richard. English if still a mystery to me. I am sorry to laugh at your poor writing skills, but your review was quite a funny read.